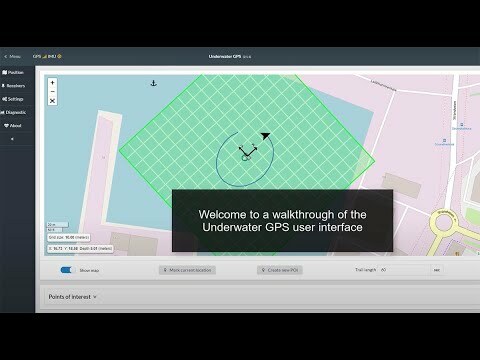 The Underwater GPS Developer Bundle includes the products you need to work with integration of our technology in your solutions. Locator A1 Optimized for ROV integration. Locator S1 Optimized for ROV integration. Locator D1 For stand alone operation. Comes with its own tether. Locator U1 Battery powered. Optimized for divers! Please refer to the Locator Comparison Matrix at the bottom of this page for further details. You will normally experience an acuracy of < 1% of the range between the Locator and the Receivers. On 100 meter range, you can expect an acuracy of ~1 meter. The Water Linked technology has revolutionary performance in this kind of challenging scenarios. While other solutions simply break down, the Underwater GPS continues to work. With Underwater GPS you should simply expect somewhat lower acuracy in such operations.